Keep that chilly morning run on the schedule. 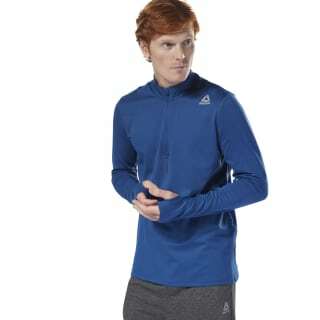 This men's quarter-zip top with Speedwick layers over your favorite running tee. 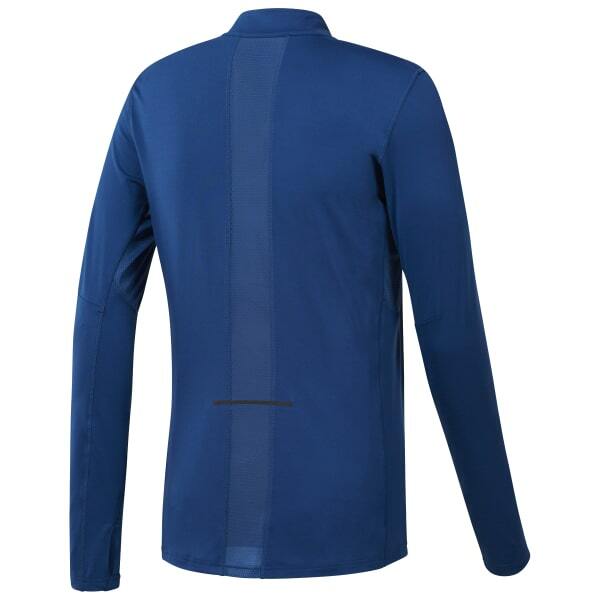 The mock neck styling zips up with a garage to park the zipper so it won't chafe the neck. Thumbholes help secure the fit.